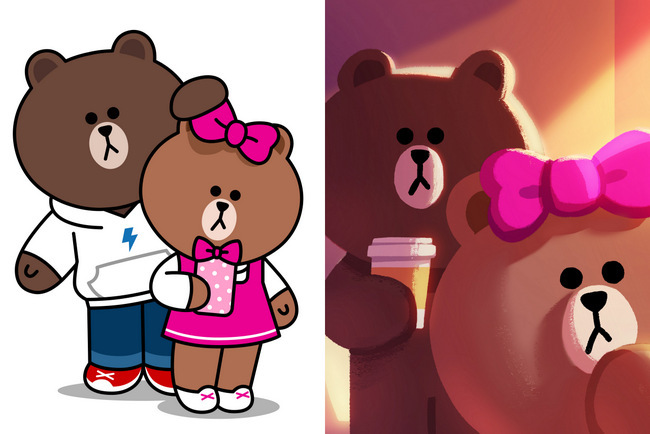 LINE Corporation gives birth to Choco, Brown’s little sister, to its popular range of LINE characters ahead of its fifth anniversary in June. The new character was first unveiled at the LINE Conference Tokyo 2016 on 24 March in Tokyo Japan. It will have its own dedicated mobile-only webpage and official Instagram account. Fans of Brown will definitely be fond of his sister. The younger sister of popular LINE Friends character Brown is aimed at fashionable young women who are social media savvy and always up-to-date on the latest trends. She is constantly on the lookout for chic new fashion items and has got a new look to show off. Soon you would be able to get Official LINE Stickers and LINE FRIENDS STORE goods for Choco. LINE will continue to use its range of LINE characters to strengthen its appeal and connection with LINE users globally.